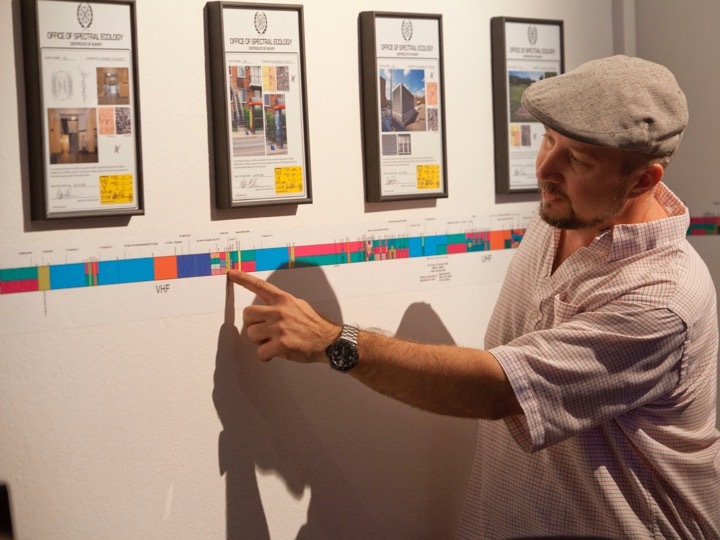 One of my favourite people to work with on projects is my fellow curator, José Luis de Vicente. In 2011, we had the opportunity to collaborate on an exhibition and book that was very dear to our hearts. 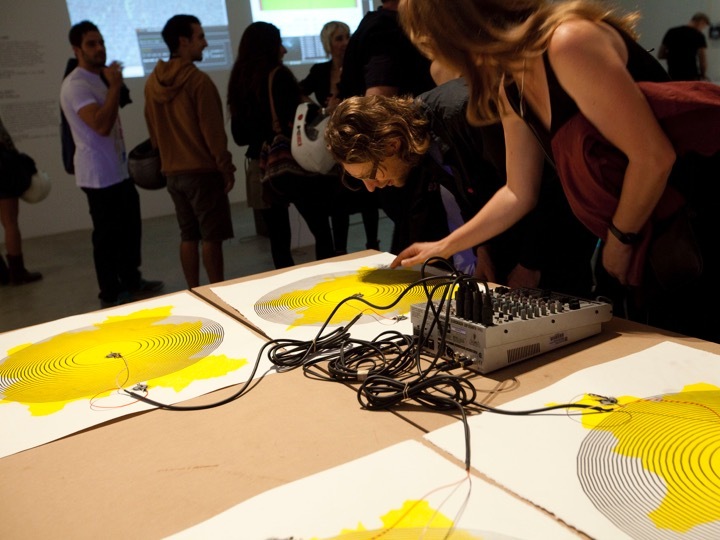 Invisible Fields was a major international exhibition that took place in 2011-12 at Arts Santa Monica in Spain. The show brought together over a dozen internationally known artists, designers and scientists to explore the radio spectrum – the invisible environment that underpins contemporary technology. The show included Timo Arnall (pictured above), Thomas Ashcraft, Matthew Biederman, Anthony De Vincenzi, Diego Diaz & Clara Boj, Joyce Hinterding, Rafael Lozano-Hemmer, Trevor Paglen, Job Ramos, Luthiers Drapaires, Rasa Smite & Raitis Smits and a new commission by Semiconductor. It was presented in the Laboratory space of Arts Santa Mònica directed by Josep Perelló. 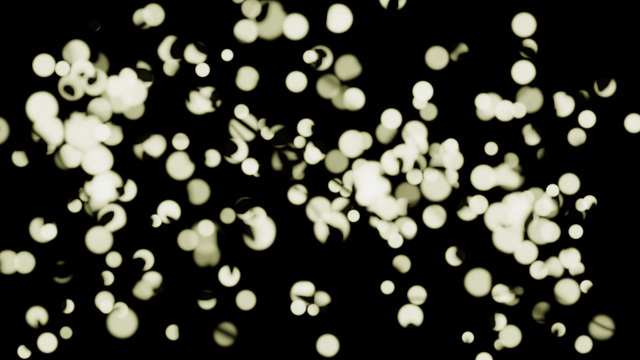 Invisible Fields explored how our understanding of our world and our cosmos has been transformed by the study of radio waves. With the invention of telecommunication technology at the end of the 19th century, the radio spectrum became a tool for rethinking the world we live in. Radio collapsed geographical distance, crossed borders and cultures, became a powerful catalyst for commerce and enabled scientists to study the cosmos in entirely new ways. Yet whilst the radio spectrum is the invisible infrastructure that enables the technologies of information and communication, most people are unaware of the way it works, how it is managed, and how it is has shaped our understanding of our lived environment. 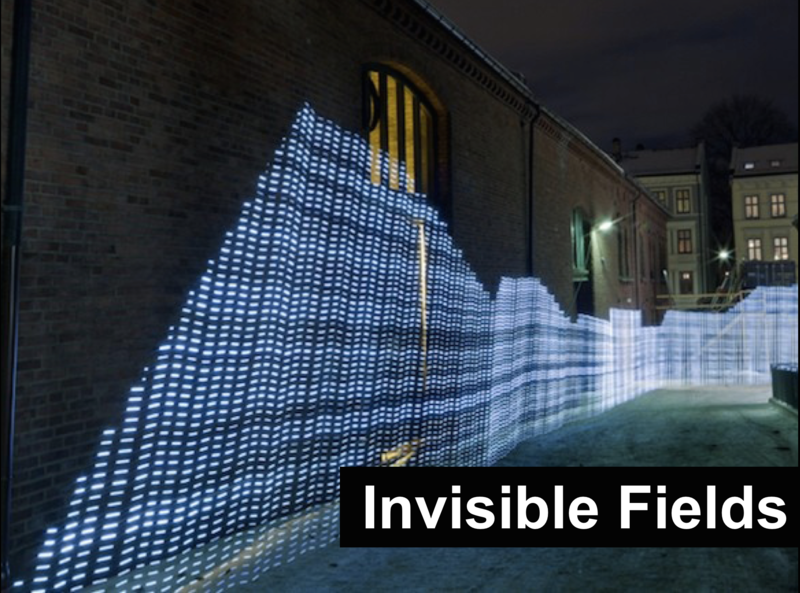 Invisible Fields aimed to shine a light on this enigmatic landscape. The exhibition differed from past explorations of these topics, in that it was conceived as an interdisciplinary blend of social-cultural analysis, science communication, and artistic practice. More than a linear, historical narration of the evolution of spectrum technologies, Invisible Fields could best be understood as an “observatory”, which enabled visitors to perceive the radio spectrum. It set out the spectrum as a physical space, invisible but present, a terrain that can be studied, mapped, surveyed and explored. It is an environment made of signals and waves from nature, and from us. Its topography is formed of waves of different scales, from tiny emissions given off by domestic objects to vast emissions made by distant astronomical phenomena. It is made up of signals that are very familiar, such as television and radio, and signals which are esoteric and enigmatic. It is an ecology that has public spaces – wireless internet and amateur radio – and secret spaces – coded military transmissions and clandestine signals. Following on from pioneers such as John Cage, Alvin Lucier and Pauline Oliveros, contemporary artists such as Thomas Ashcraft, Semiconductor and Joyce Hinterding create powerful works that allow us to understand the radio spectrum as an extension of the natural world. Sitting alongside their almost Emersonian understanding of radio as nature, was recent work in the field of architecture, design and urbanism, which expands the notion of urban space into the invisible realm of the spectrum. “Hertzian space”, a term coined by designers, Anthony Dunne & Fiona Raby, is defined by our transmissions of radio, television, wireless internet, GPS data and mobile phone signals. It is a space interrogated by artists and designers such as Timo Arnall from the BERG group in London, and Clara Boj & Diego Diaz who create clever visualisations of the presence of waves in our daily life. 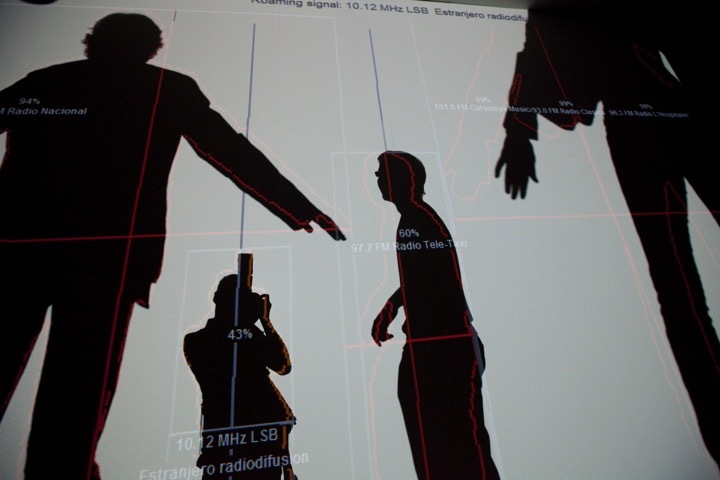 Elsewhere in the show, artist Rafael Lozano-Hemmer’s monumental tribute to the radio dial, enabled visitors to physically move through radio transmissions, giving them a visceral encounter with our ethereal cultural surroundings. Experimental geographer and artist, Trevor Paglen, and artist-activists, Rasa Smite & Raitis Smits, shed light on the dark zones of the spectral landscape. Invisible Fields was not only concerned with the topology of the radio landscape, but rather the socio-political activities that take place within it. Alongside the artworks in the show were workshops, which reminded us that our position with the architecture of the spectrum is far from being that of a passive observer. As such, the exhibition space hosted intensive activity for a wide variety of audiences, with workshops on Sunday mornings, and a complete education programme offered to schools. Taken together the works in Invisible Fields made the intangible materiality of the electromagnetic spectrum visible and audible. They opened up the Hertzian space around us, and above us, to our senses. The visions of artists, the solutions of designers, and the experiments of scientists give us the tools we need to create our own mental maps of this profoundly influential terrain. Some artists are just a dream to work with and Brighton-based digital artists and filmmakers, Semiconductor are just that. I have worked with Semiconductor (Ruth Jarman and Joe Gerhardt) on multiple occasions, including commissioning new work for exhibitions in Spain and years later in Singapore. Solar Systems was an exhibition I co-curated for the inaugural Brighton Digital Festival, which I was a co-founder of. Solar Systems drew together three recent installations by Semiconductor that explore our relationship with our nearest star, the Sun. Heliocentric is a stunning single channel digital video installation made from time-lapse photography and astronomical tracking of the Sun’s trajectory across a series of landscapes. 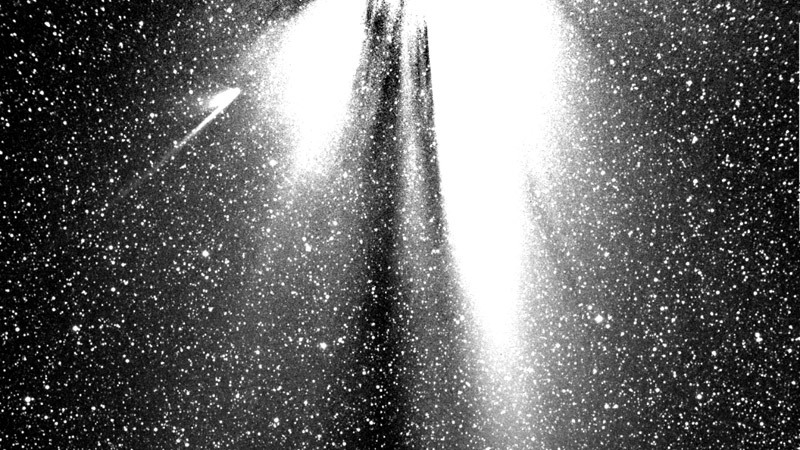 The highly acclaimed Black Rain (pictured above) uses images collected by the solar satellite STEREO, which studies the solar wind and the Sun’s coronal mass ejections, as they head towards Earth. The rarely seen Out of the Light (pictured below) is a time-based sculpture which shows how celestial events, such as a solar eclipse or the transit of Venus, can reveal themselves through the play of light and shadow. These works are emblematic of the Semiconductor’s ongoing investigation of the natural world, which has resulted in major works on astronomy (Brilliant Noise, 2006), and geology (Worlds in the Making, 2011). Their unique approach has won them fellowships and residencies in significant scientific locations such as NASA’s Space Sciences Lab, the Galapagos Islands and the Smithsonian National Museum of Natural History. Their work is part of several international public collections and has been exhibited globally including Venice Biennale, The Royal Academy, Hirshhorn Museum, BBC, ICA and the Exploratorium.